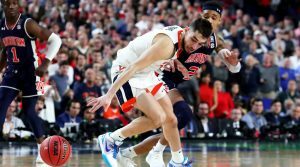 When I started this series of posts last season, Clemson was the reason why. Why? 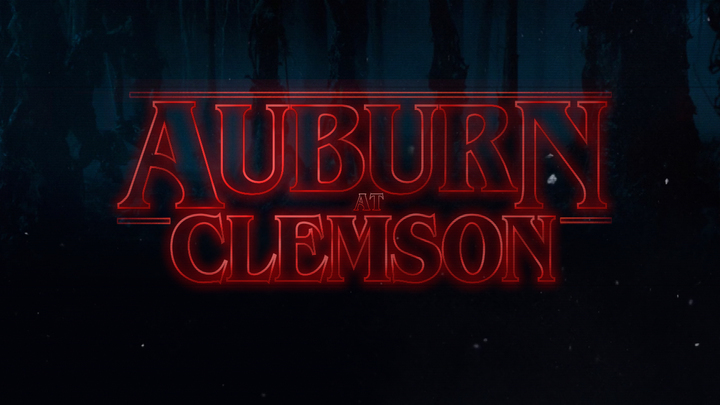 Because everything to do with Clemson is a weird twist of something at Auburn. If you’ve watched the show, this would be described as the Upside Down. 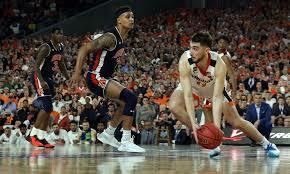 Most of what you’ll read below is what was posted last year because it will never change, and we need constant reminders so that we can tell when we are in the real world (Auburn) and in some weird, strange copy of it (Clemson). If you haven’t watched the show, you have no idea what this means. So without getting too specific, the Upside Down is a parallel universe that is, at it’s core, the same as the universe we live in. The main difference is that everything is a little off. It’s a dark, scary place where things just aren’t what they are supposed to be. It’s a copy, but it’s a lousy copy. It takes everything good, and makes it bad. Hmm… that definitely sounds like one school I know. Clemson football is everything it is because of Auburn. 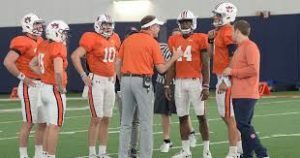 It started when Walter Riggs, a former player at Auburn who was responsible for hiring John Heisman to coach our Tigers, went to Clemson to start up their football program. It is well documented that he took pretty much everything Auburn with him. This meant the mascot, the colors, and even practice jerseys. But because the navy practice jerseys were old and worn out, they had faded to purple. Therefore, Clemson chose the colors orange and purple. A lousy copy. But it didn’t stop there. 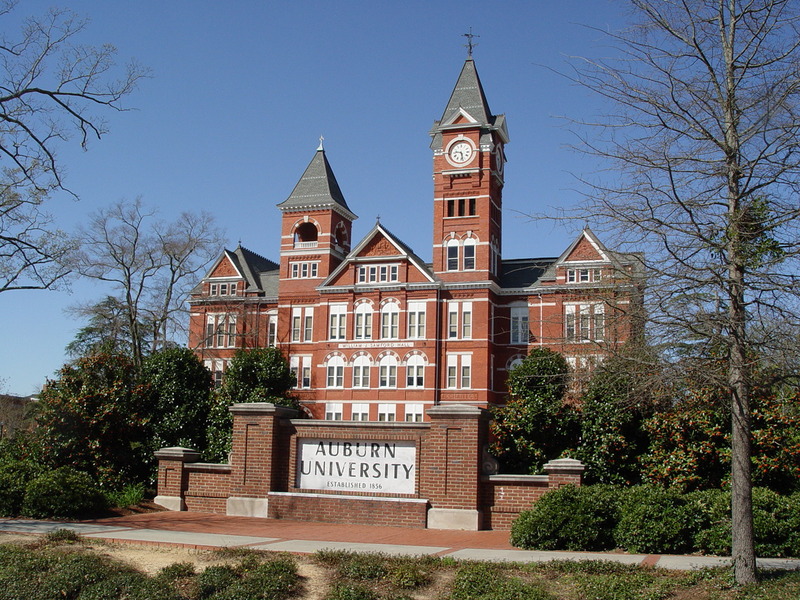 Clemson also took a liking to Auburn’s architecture all around their campus. When I visited Clemson in 2011, I went into their student center and I was immediately taken away in my mind to Foy Student Union. It had Chick-Fil-A, it had a sub shop. It was Foy. 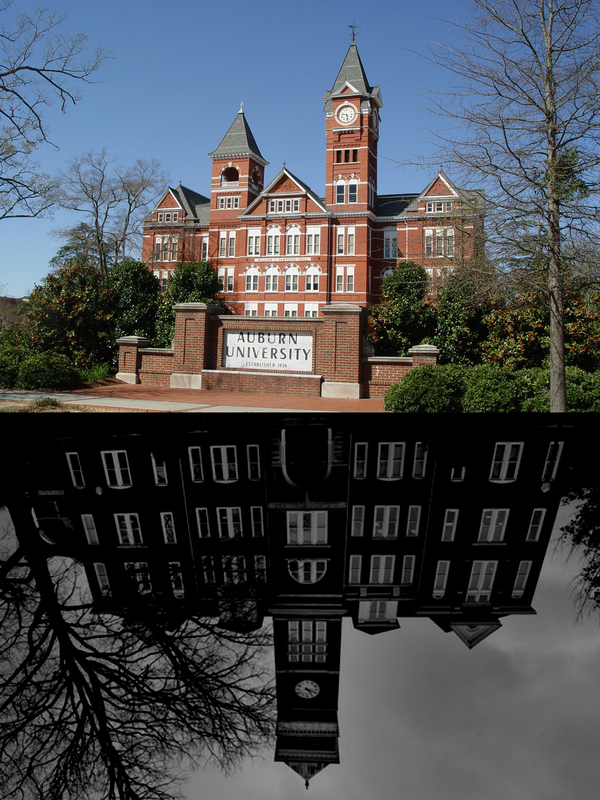 Every one of their buildings looked like they were Auburn’s buildings 20 years ago. But wait, you ever seen this place? Yeah, it looks familiar doesn’t it? That’s Clemson’s Tillman Hall. 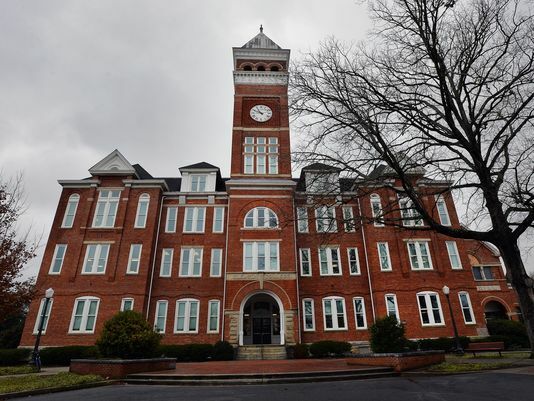 It looks just like a lousy copy of our beloved Samford Hall, doesn’t it? That’s because that’s what it is. And just look, it’s just so gloomy and scary there. It’s like the Demogorgon is just going to pop out of one of this windows and swallow us whole. The Demogorgon is the monster that lurks throughout the Upside Down and screams and storms around, reaching through walls to grab unsuspecting prey. It’s almost like a football coach trying desperately to plead his case 15 yards onto a football field, but knowing he has to stay on the sideline. All he can do is reach. 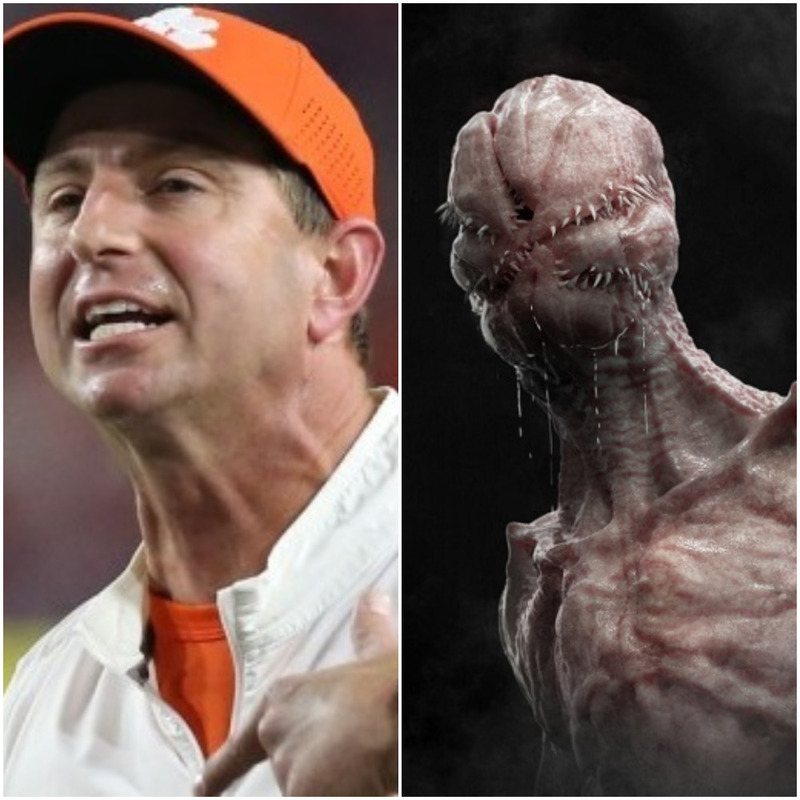 Wait, I’ve seen this before… Dabo… Demo… it’s too easy. To get to the Upside Down, you have to go through a portal. 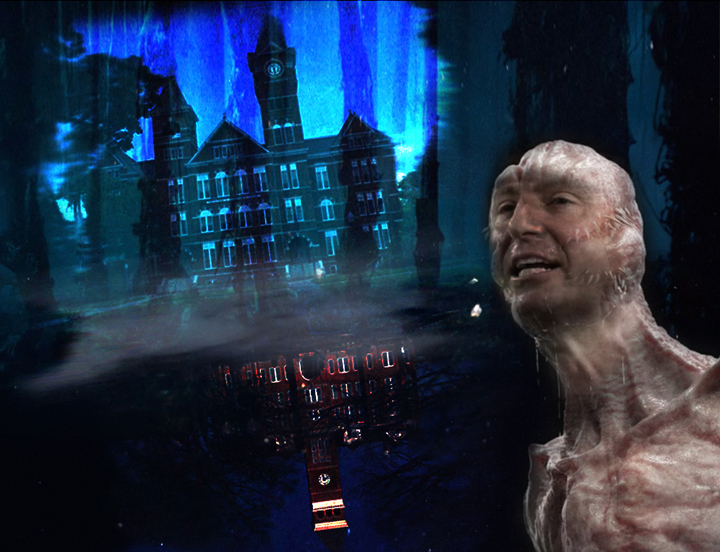 In the show, an unimportant character is taken to the Upside Down through a swimming pool. Swimming pool… lake… I think we’ve found our portal. The similarities are well known, but it wasn’t until Netflix opened my eyes that I realized that we’re dealing with a parallel universe. A lousy parallel universe. The Upside Down. I could really just stop there. Clemson’s mascot is called “The Tiger.” It doesn’t have a name. It’s just called “The Tiger.” Like, if you’re gonna be THE Tiger, you should look like a tiger, not a fishing lure. So we’ve all seen the picture above before. It’s used to make fun of this strange looking Tiger every year. But it wasn’t until I did a little more searching that I actually found the full picture. You see that? He’s holding Howard’s Rock. No, it’s like he’s protecting it. It’s like Gollum protecting the ring. You remember what that ring did to Gollum? The same must’ve happened to this thing that used to be a Tiger. 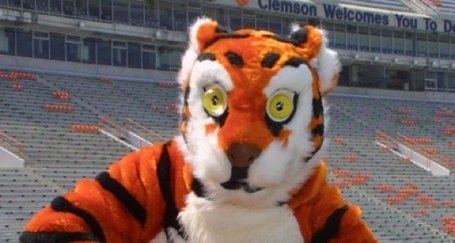 Wait, if Walter Riggs took everything from Auburn to Clemson, I’m sure The Tiger used to look just like Aubie, right? There has to be some reason he looks all cracked out. 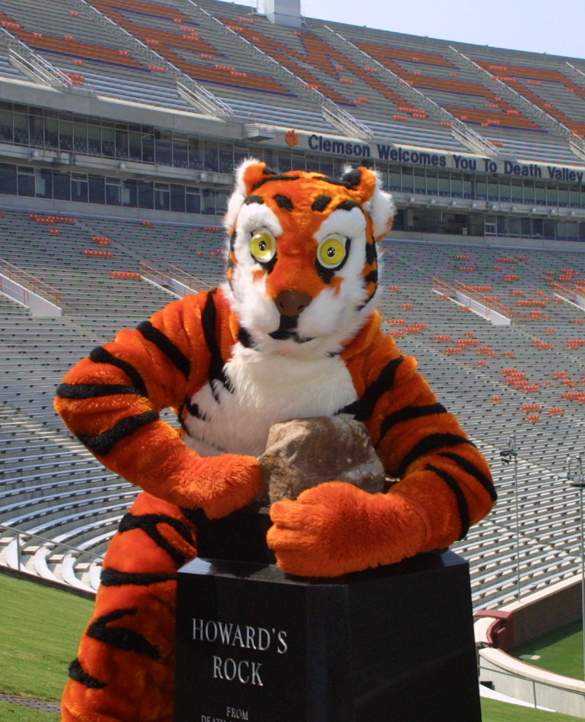 Wait… crack… rock… Dude, THE Tiger is actually on crack. That explains it all. Do they have rehab for Tigers that use crack and end up being fish bait? Ok, let’s bring it back to real football. In 2010, the Cam Newton we did not know yet led a comeback, following a 17-0 deficit, to beat Clemson in overtime. According to this article, it’s because Auburn turned off Clemson’s headsets. Ok, but anyway. The real reason Auburn won is because Clemson’s long snapper purposely double hitched his snap on the game-tying field goal in OT. 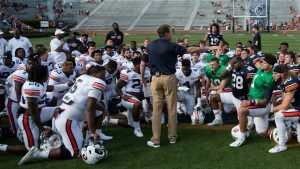 The segment below from Auburn Football: Every Day shows parts of it, but basically Auburn was up 27-24 after their first try in overtime. All Clemson had to do was score a touchdown. Instead Auburn stopped the other Tigers on 3rd down to force a field goal try. But on that try (that Clemson made), it appeared that Auburn jumped offside. 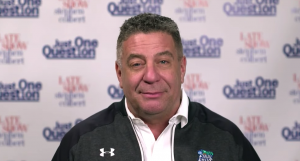 After the referees conferred, it turned out that they jumped because the long snapper pretended to snap the ball before actually snapping. Had it been offsides, Clemson would’ve had a 1st down inside the 10 yard line, and almost assured an Auburn loss. Instead, Clemson had to back up 5 yards and kick another field goal. Should be just as easy, right? Nope. Wide left. 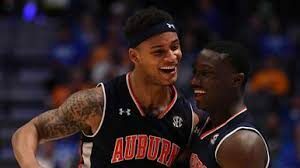 Auburn wins. 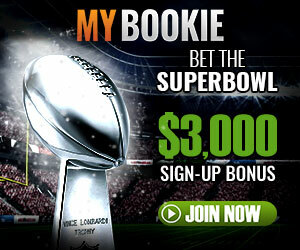 So aside from the ending of the 2010 game, there hasn’t been too much strangeness in regards to actual football. 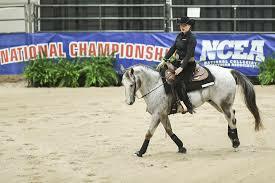 But that God-forsaken Tiger and the lousy copies of everything else makes the history between these two schools as strange as they come.